This book takes it to the next level with large format and vinyl stickers. Stickers are an essential part of the street art movement. Both inexpensive and easy to produce, they act as a kind of informal business card for some graffiti writers, as well as a quick and effective promotional tool for many artists and illustrators. Interest in the subject continues to grow as stickerbombs hit more and more major cities around the world. 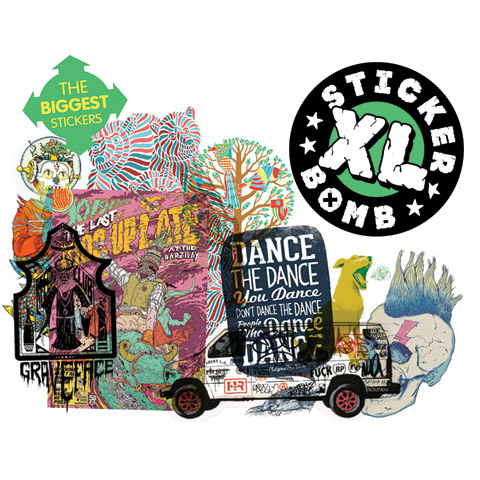 This book is filled with an amazing collection of more than 350 specially commissioned stickers by artists, illustrators and graffiti writers from around the globe. It will appeal to a young market of designers, street artists and illustrators, as well as street art fans and anyone who likes to collect stickers.